Inside: Want to get your cutting board clean and disinfected? 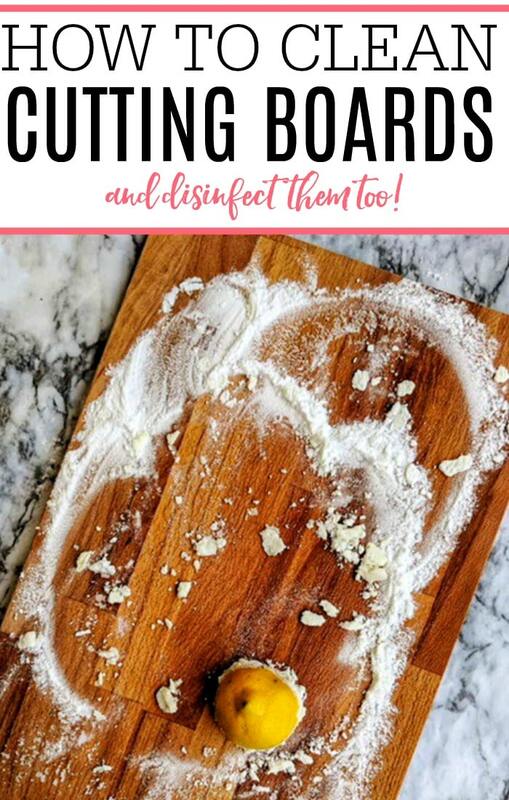 Check out how to clean cutting boards and disinfect them too. Get rid of any bacteria and stains easily. If you are anything like me you probably use your cutting board every day. 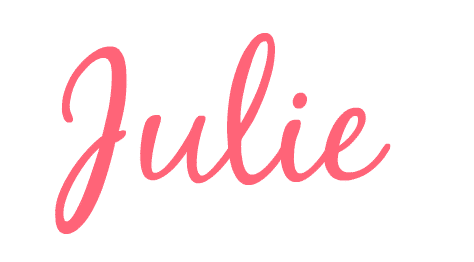 Mine gets used for everything from cutting fruits and veggies to being used as a charcuterie board. I also use some of them to cut meats. They are so versatile and great for cooking and serving. However, they do take a little bit of care to keep them clean and disinfected, especially the wood cutting boards. 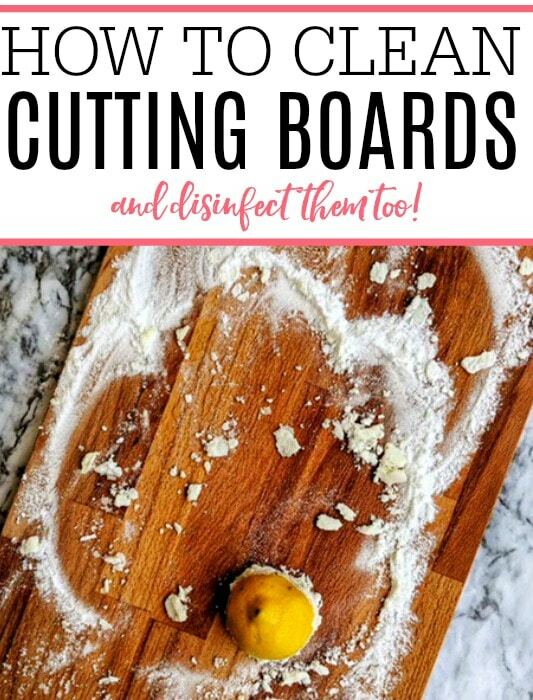 If you have a plastic or wood cutting board check out how to clean cutting boards to keep yours in great shape. To clean cutting boards you need soap, vinegar, baking soda, a spray bottle, and a lemon. It doesn’t take long to clean them and you can keep them free from germs and bacteria. Start by washing it under warm water and scrubbing with a little dawn soap. Rinse under cool water and towel dry. Then, you will want to start disinfecting it. 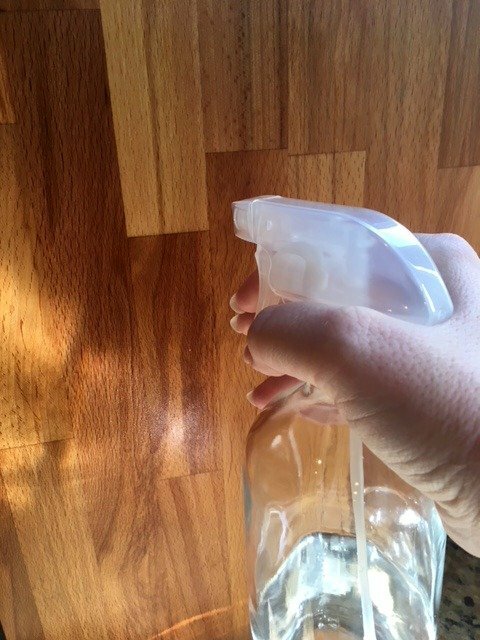 White vinegar makes a great disinfectant that is food safe. Although white vinegar has a smell that isn’t real pleasant it does disappear once it is dry. Pour about 1/4 a cup of white vinegar in a spray bottle and then liberally spray the cutting board with the vinegar. I recommend doing this over the sink so the excess vinegar can just run down the drain. Let the vinegar completely soak into the wood/plastic and dry. You can either let the cutting board air dry or wipe it down with a clean towel. Once the cutting board is dry you will want to clean up any surface stains and smells with some baking soda and a lemon. The combination of lemon and baking soda will get rid of any stains and make your cutting board smell fantastic. Sprinkle about 1/4 cup baking soda over the cutting board and then use half a lemon to really scrub the baking soda into the cutting board. 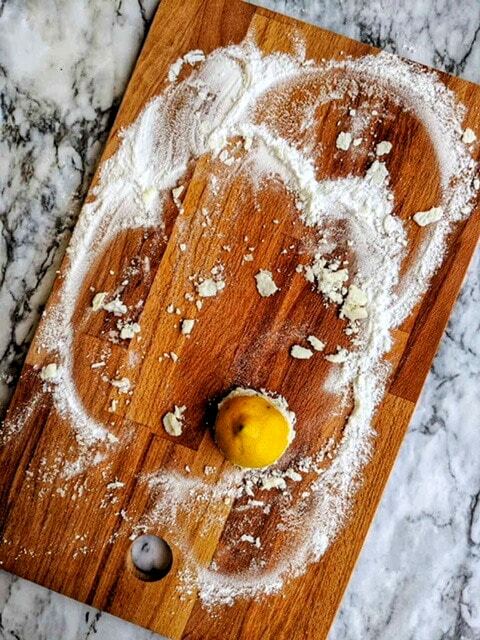 The grit from the baking soda plus the lemon juice should get rid of any stains on the cutting board. If the baking soda and lemon don’t take care of the surface stains you can try salt instead. Salt is a little more abrasive and will get rid of stains better, however, it could leave scratches in a wood cutting board so be gentle. Once you have removed all the stains rinse the cutting board with cool water and let it air dry. Once the cutting board is dry it is really for use again. 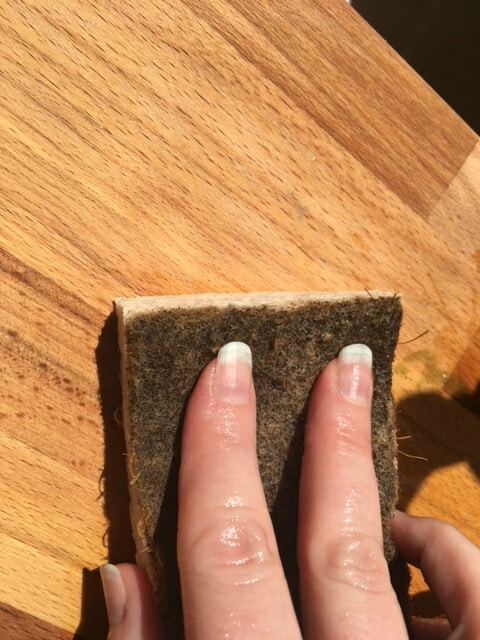 If you regularly use your cutting boards I recommend you clean cutting boards every couple of weeks. This will keep them clean and free from bacteria. Want some other easy kitchen cleaning tips? Check out how to remove coffee stains from mugs. It only takes a few minutes but it will get your coffee and tea mugs clean from any stains or residue.